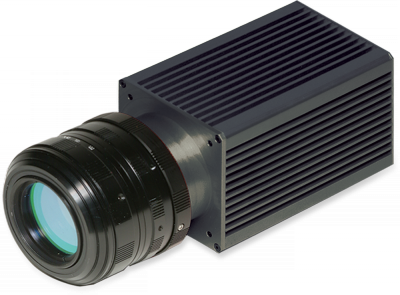 The large format 640 x 512 pixel SU640SDV-1.7RT InGaAs room temperature solid-state camera allows users to capture images in the Short Wave Infrared (SWIR) range of 0.9 to 1.7 µm and the SU640SDV Vis-1.7RT expands the range to the visible, from 0.4 to 1.7 µm. The large format 640 x 512 pixel SU640SDV-1.7RT InGaAs room temperature solid-state camera allows users to capture images in the Short Wave Infrared (SWIR) range of 0.9 to 1.7 μm and the SU640SDV Vis- 1.7RT expands the range to the visible, from 0.4 to 1.7 μm. Both provide wide field of view, high resolution and high sensitivity. Their snapshot CMOS readout captures pulsed or continuous illumination sources at 30 frames per second with 14-bit resolution. Please direct any questions or concerns regarding the export status of your Sensors Unlimited product to our Sales/Export Compliance Traffic Manager, at 609.333.8200 or email us at sui_info@utas.utc.com. Please visit our regulations page for more information around ITAR and EAR regulations and the export of Sensors Unlimited products.